Michael Hatfield has been an orchestral horn player, a teacher, and an active member of the IHS, currently serving as Chairman of the scholarship program. Mike is a native of Indiana, born in 1936. He studied both trumpet and horn in his youth but also had early ambitions towards a career in the television industry as a producer or director. At Indiana University, he earned both the Bachelor of Science degree and the first Performer's Certificate in Horn granted by that institution under the tutelage of Verne Reynolds. He also studied with Christopher Leuba and Philip Farkas. Upon graduation in 1958, Mike joined the Indianapolis Symphony as assistant principal horn, moving to third horn the next season. In 1961, he was appointed principal horn of the Cincinnati Symphony Orchestra, a position he held for the next 23 years. While in Cincinnati, Hatfield also served as Adjunct Professor and Chair of the Brass, Woodwind, and Percussion Division at the College-Conservatory of Music of the University of Cincinnati, and was a member of the Cincinnati Woodwind Quintet with his principal colleagues from the Symphony. Summers he returned to Aspen where he played second horn to Philip Farkas in the Aspen Festival Orchestra from 1960-68. In 1972 he became co-principal of that orchestra and joined the faculty of the Festival, positions he would hold until 1989. 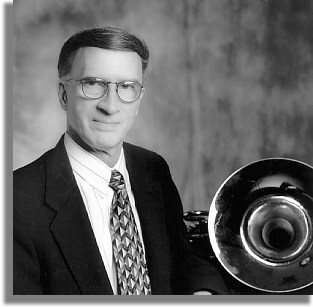 In 1984, Mike joined the faculty at Indiana University, replacing his former teacher, Philip Farkas, upon Farkas's retirement, and served as Chair of the Brass Department. In the summers he was also principal horn of the Santa Fe Opera and a member of the Grand Teton Festival Institute faculty and its Orchestra. He is now retired, with the title Professor Emeritus. In 2000, he was elected to the Board of Directors of Cormont Music where he offers input into the planning and execution of the Kendall Betts Horn Camp and its scholarship program. Mike was a featured artist at the 1983 and 1985 IHS International Workshops and has served two terms on the Advisory Council. He was presented with the Punto Award in 2003 and elected an Honorary Member in 2006.